I hope you got your tickets in time for this Thursday's party!! 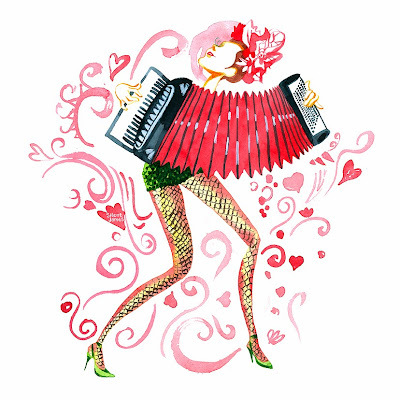 I'll be celebrating my birthday, while performing at La Cocotte's "Le beaujolais nouveau arrive" event this Thursday, November 21st, 2013! As I have been preparing for this party, I reunited with an old friend: beautiful french music. How could I have forgotten about you? I loved you deeply from the beginning. You were a HUGE reason I wanted to learn the accordion... My accordion missed you so much too. You're also a HUGE reason I got my Guerrini, for it has a lovely 'musette' setting on it. Where did you go? Where did you go...? My heart is beating hard and fast knowing I have found this music again. I'm not going to let you go this time!